BROWNSBURG, Ind. (March 12, 2018) – Maintaining a perfect stretch of six consecutive top-five performances with the World of Outlaws Craftsman Sprint Car Series in 2018, eight consecutive overall when including Arctic Cat All Star Circuit of Champions presented by Mobil 1 appearances at Volusia (Fla.) Speedway Park, Fargo, North Dakota’s Donny Schatz, driver of the familiar Tony Stewart/Curb-Agajanian Racing/ Textron Off Road/Ford Performance/Curb Records/Sage Fruit/No. 15 sprint car, found the podium once again during World of Outlaws competition, advancing from row three to finish third at the Thunderbowl Raceway in Tulare, Calif., on Friday, March 9. 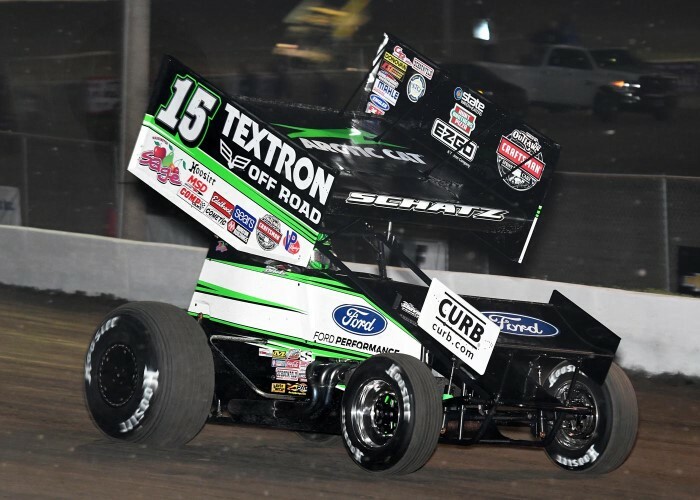 After setting the third fastest time of the night during the first segment of qualifying time trials, Donny Schatz kicked-off competition at Thunderbowl Raceway with a victory during his respective heat race. The heat race victory locked Schatz into the evening’s Craftsman Club Dash where he would finish fifth; his guaranteed starting position for the 35-lap main event. The defending World of Outlaws Craftsman Sprint Car Series champion made the most of his top-five starting spot, soon battling for positions as high as second in the running order with eventual winner, Aaron Reutzel, and second place finisher, Cory Eliason. Those three raced nearly nose-to-tail during the later stage of the 35-lapper; Schatz in hot pursuit of Eliason, each chased by Texas native, Reutzel. Unfortunately for Schatz, Reutzel proved his power and drove around Schatz for second, resetting his aim for race leader, Eliason. Although Schatz kept pace with the lead duo, chasing the top-two as they criss-crossed for the lead on several occasions, the nine-time Series champion would eventually fade, forced to cross under the final checkers third in the running order. The Thunderbowl Raceway weekend finale on Saturday, March 10, was cancelled due to a high percentage of rain in the forecast. Donny Schatz will be back in action with the World of Outlaws Craftsman Sprint Car Series on Friday and Saturday, March 16-17, for the FVP Platinum Battery Western Spring Shootout at the Stockton Dirt Track in Stockton, California. Donny Schatz finished second during his Stockton, Calif., visit in 2017, nearly out-dueling Kasey Kahne Racing’s Brad Sweet for a $10,000 top prize. Only one World of Outlaws event was completed at Stockton Dirt Track in 2017. Those seeking additional information regarding the FVP Platinum Battery Western Spring Shootout at the Stockton Dirt Track should visit the facility live on the Web at www.stocktondirttrack.com. If you are unable to attend, please be sure to tune-in and watch every lap live on www.dirtvision.com. Fans are encouraged to follow the progress of Schatz, Tony Stewart Racing and the No. 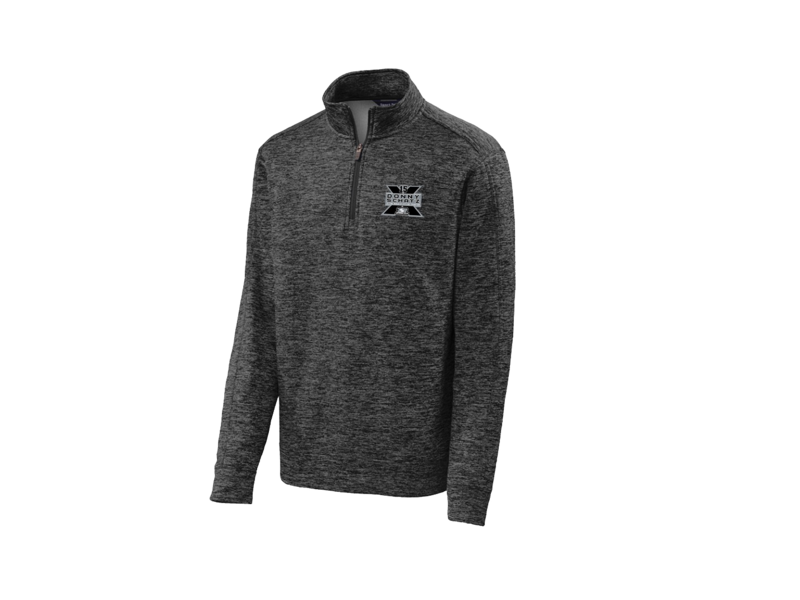 15 Textron Off Road/Ford Performance/Curb Records/Sage Fruit/J&J Auto Racing motorsports team on the Web and on social media. More information can be found at www.tonystewartracing.com, as well as at www.donnyschatzmotorsports.com.